E Series USB re-charges guest smart devices. E Series with USB charging ports can bring guest smart devices back to life while saving space on your night stand. 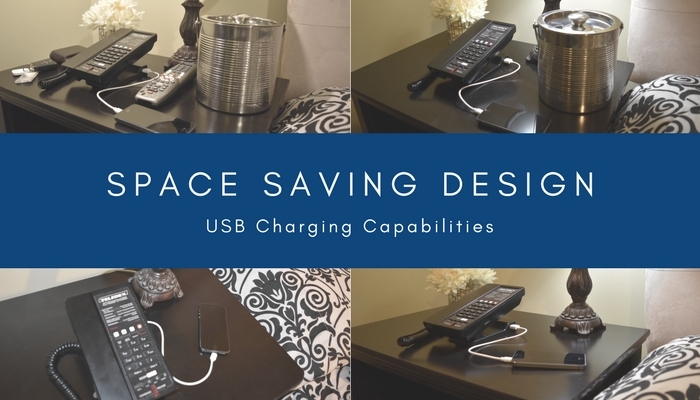 Designed to complement the flat screen pedestal look of televisions inside the guest room, E Series USB is available in analog, VoIP, corded, and cordless models with USB charging ports on the desk sets, and RediDock remote handsets. 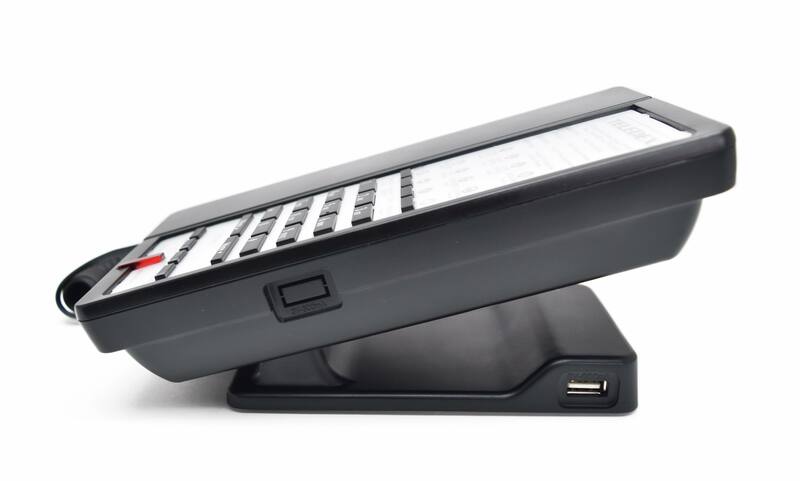 Originally styled to meet the limited space and energy requirements aboard cruise ship cabins, E Series USB micro-footprint hotel phones also require minimal surface area on the desk and nightstand. Interior designers appreciate the sophisticated extra thin, ultra-stylish body while guests enjoy the familiar, comfortable feel of a sleek, modern handset. Click here for E Series USB product details, or complete the form to request a quotation. Teledex E Series USB hotel phone with convenient built-in guest smart device USB charging ports.